“What’s in a name?” young Juliet asked as she perched aloft her famous balcony. Her one true love, Romeo, was a Montague, the arch-enemy of her family, the Capulets. If he had any other name, she mused, they could be together. Because “what’s in a name?” she asked. “A rose by any other name would smell as sweet.” In other words, a rose doesn’t stop being a rose even if you call it by another name. My name is Andrew. It comes from the Greek. It means “manly.” Most people chuckle when I tell them that. My name doesn’t describe me. If I changed my name, it wouldn’t change who I am. So again I ask: What’s in a name? Many in our world would say the same about God. All the religions of the world are basically the same, they say. 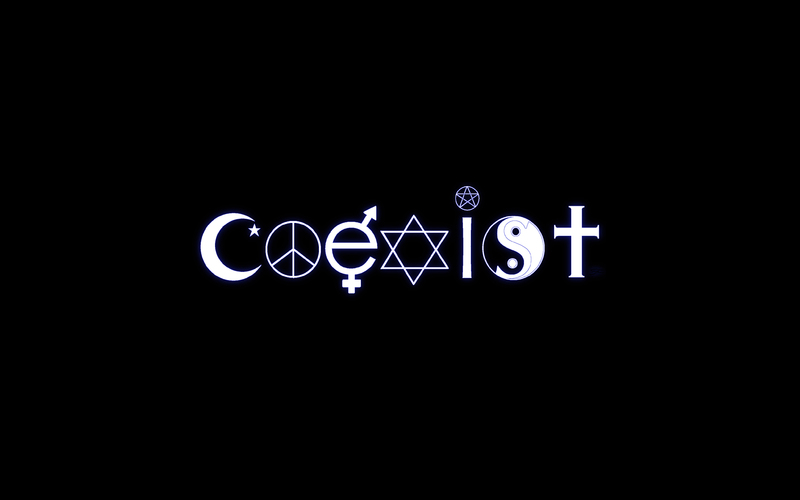 All religions lead to the same place. We worship the same God, we just use different names for him and worship him differently. That sounds so good – so loving, so tolerant. The problem is, it isn’t true. Do you know what the name Jesus means? It literally means “He saves” (or “Savior”). Jesus is our Savior. But what does that mean? Imagine your house is on fire. You’re trapped in your bedroom – no way out. A fireman busts in and carries you out. He’s a hero. He rescued you. He saved you from the fire. Now imagine if that fireman died while rescuing you. It would change your life forever. You would never forget his sacrifice. Jesus is our Savior. He swooped down and rescued us from the fires of hell. He died to save us. He suffered the pain, the punishment, the hell we deserve. You see, the fire is of our own making. You aren’t some innocent victim. You are the arsonist. You are the liar, the cheat, the one who deserves to burn in hell forever for all the shameful and hurtful things you do. Yet Jesus saved you. He rescued you from the fire. He died so that you might live. What’s in a name? Jesus’ name says it all. He is our Savior. Now compare his name with that of the gods of other religions. For example, the god of Islam is called “Allah,” a name which simply means “god.” They call him loving, but he will only love you if you fight your jihad against his enemies. If you fight hard enough – if you are faithful enough – you can earn paradise. If you die in your fight for him, you will enjoy paradise with virgins who will pleasure you forever. Does that sound like the same God of the Bible by a different name? Or how about “Shiva” one of the chief gods of Hinduism? The name Shiva means “the Auspicious One,” but he is more often called “the Destroyer.” Shiva is a paradox. He is considered the source of both good and evil. His behavior wavers between extreme asceticism and hedonism. Does that sound like the God of the Bible by a different name? Or my favorite is the Aztec god, Huitzilipotchli. Try saying that name fast three times. His name means “Left-handed humming bird” and he is the god of war who demands human sacrifice in order to protect you from your enemies. Does that sound like the God of the Bible by a different name? I cannot prove to you that my God is the true God. I can’t force you to believe what I believe. I don’t hate those who don’t believe what I believe. But to say that all religions are basically the same or that they are the same god by a different name is ludicrous. In the end, all other religions of the world tell you what you have to do to win their god’s love or to earn paradise. Christianity is the only religion in the world whose God gives heaven and forgiveness freely. Christianity is the only religion in which God’s love doesn’t depend on you or what you do. So what’s in a name? For me, the name Jesus says it all. I would like to add that I know Pastor Schroer very well and I want to stress the fact that he is Not a person who would ever judge or look at someone different because of their religion!!! Not for any other reason as well!!! Like he said in his last post which I wholeheartedly believe…we have to Speak Up for what we believe. I applaud him for doing so!!!! I also thank him for finding the time to write these and post them!!! They mean a lot too many people!!! The very first commandment of God is, “You shall have no other gods.” Any religion or teaching that does not proclaim Jesus as the only Savior of mankind is a rejection of the true God. False teachings create other gods that do not exist and can not save you.